Just 5km from the city of Ica lies a picturesque lagoon surrounded by the biggest sand dunes you might ever see. 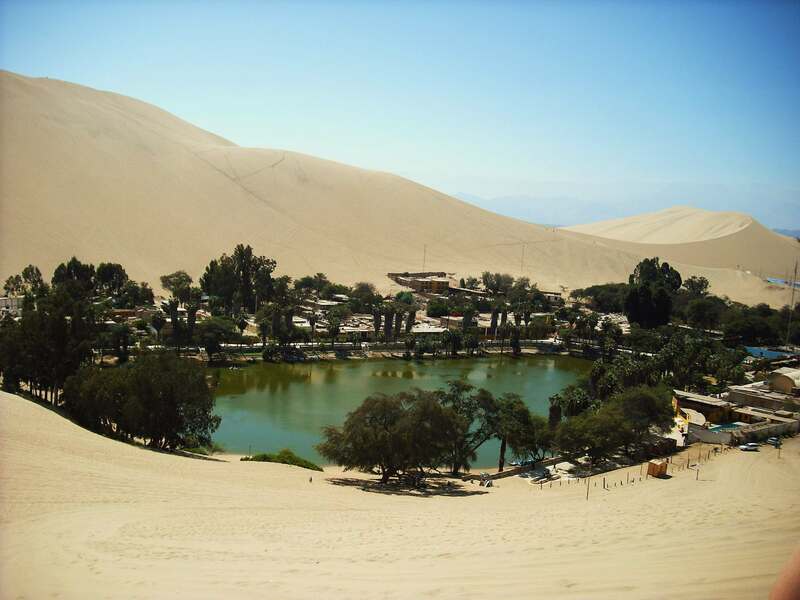 Huacachina is a tiny town in southern Peru, an hour away from the Pacific coast. 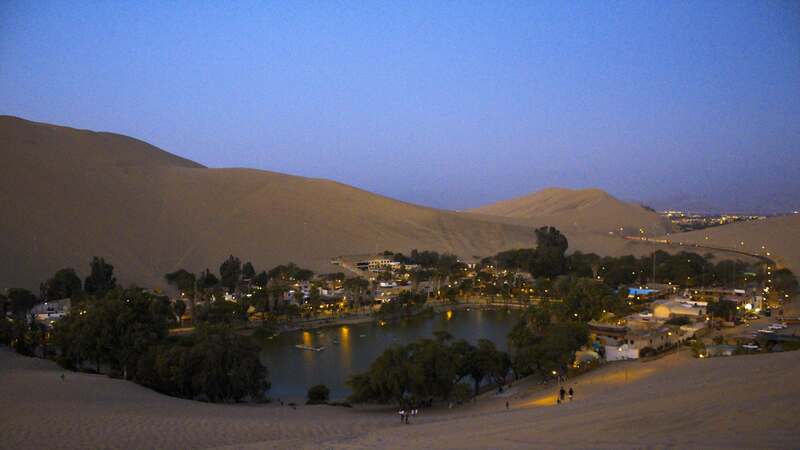 The town is basically a collection of resorts and restaurants around a blue-green laguna surrounded by huge sand dunes. It was originally built as a resort for the Peruvian higher classes. 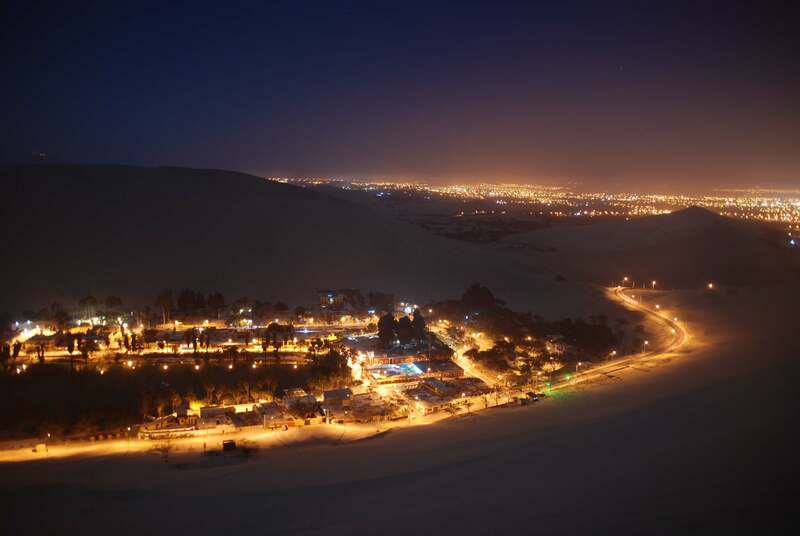 Huacachina has a permanent population of 100 residents, however the village is an extremely popular holiday destination for locals, backpackers and adventurers. Local legend holds that the lagoon was created when an inquisitive young hunter disturbed a local princess while she was bathing. She fled, leaving the pool of water behind which became the lagoon. The legend now proclaims that the princess inhabits the lagoon in the form of a mermaid – there’s even a statue depicting this on the lagoon’s banks.